Are you currently residing in the beautiful town of Crawley and enjoying swimming and boating? If you answered that question in the affirmative, and you are keen on selling a vehicle as fast as you can, you are in luck. 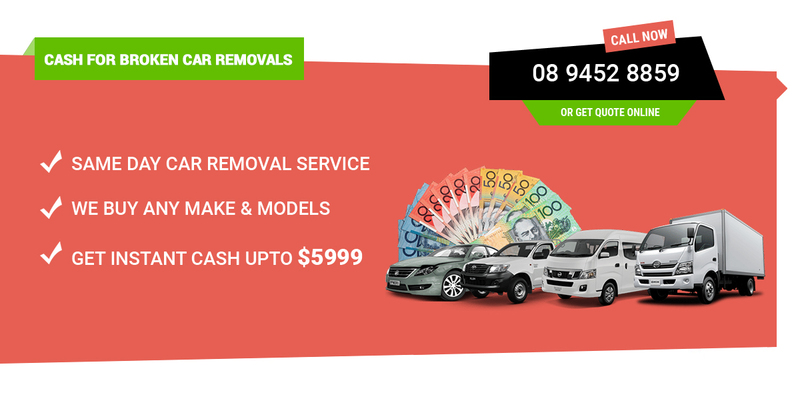 We are Perth Auto Wreckers and our Car Wreckers Crawley 6009 teams will buy your vehicle off you in the same day that you contact us. We don’t have a preference for cars, and will buy any other variety of automobiles offered to us. Whether you need to sell a truck, van, Bus, Commercial trucks or lorries, Ute, SUV or 4×4 we will happily pay you handsomely for it. If you prefer to get paid in cash on the spot, then once again, you are in luck. Because we are in the great habit of paying instant cash. Has your automobile broken down permanently? This is the worst thing that can happen to a vehicle. Why not turn your bad luck around and get some good cash for your car? Here at Perth Auto Wreckers, we pay the most cash for cars, and will pay up to $10K! Quotes that are free and have no obligations attached: The method you can use to get a free quote from us only involves getting a free quote. Call us at 08 9452 8859, or use the alternative contact method of filling out the form on our website. Quick and instant cash quotes available if you are living in urban areas, however, it can take longer to book a pickup for rural regions. Removal of your Vehicle Free of Charge: We are not one of those auto wrecking companies that won’t buy a car until the customer has had it transported to their yard. Instead, we provide the removal ourselves. Other than Crawley, we also cover the rest of suburbs of Perth, find our Perth Coverage Location Map. Environmentally friendly auto recycling: We buy scrap cars so that we can recycle them. We do this with deep concern for the good of the environment. All the toxic materials are disposed of or recycled, and the recycling of steel and other metals helps reduce the pollution mining creates. We do the Legal Paperwork: We will even do the paperwork for you. Which is way better than you have to do it yours yourself. We intend to save your time and money while buying a car from you. What does Our Car Selling Process Entail? Be prepared for the most conveniently simple and easy method for selling a car in vehicular history. All you have to do is call us or contact us online. There is a quote request form that you are invited to complete if that is your preference. Provide us with some simple details about your vehicle, which will include the make and model. Don’t forget to furnish us with the age of your car as well as what condition it is in. We collect broken, accidentally damaged, mechanically broken, rusty, scrap-junk, unregistered cars, Flood damaged cars or totalled vehicles and always pay the best price in the town. In less than an hour we will get back to you with a free quote. If you don’t like our offer, that is okay as there are no obligations to accept it. If you do accept it, we can then arrange a time and a place for us to come over and pay you before taking your vehicle back to our place. Contact your local Car Wreckers Crawley 6009 team today and scrap your unwanted vehicle in a safe way.